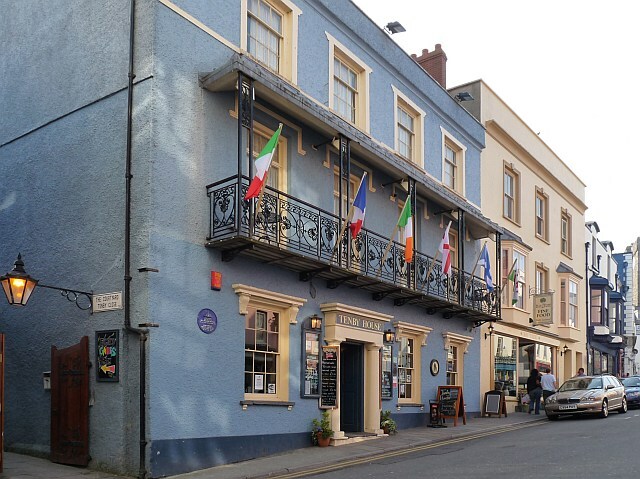 This lively pub in Tenby can offer accommodation for the weary walker. Situated very close to the footpath in this lovely town, there has been a pub/inn here on this site since mediaeval times. Although steeped in history we can't promise any ghosts! Offering a varity of room sizes, Tenby House would be able to accommodate a walking party, and so would Luggage Transfers! We can handle the baggage of large parties with ease, taking all those logistical worries away. Tenby is steeped in history and may be the place you wish to rest overnight during your walk or a place to linger and explore. Whatever your wish, the town can offer a range of facilities and eating experiences and your hosts offer comfortable accommodation at reasonable prices. Luggage Transfers will be able to take care of all your belongings and the difference between walking with or without your baggage is vast and cannot be over estimated, so let us take the load from you. 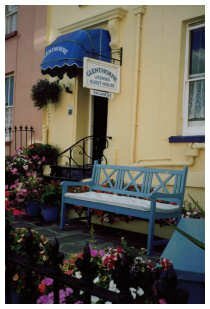 With a warm welcome awaiting walkers, the Glenholme Guest House could be the perfect place for you to overnight, or stay longer. Right in the heart of Tenby with all the facilities that town has to offer, you will find plenty of places to eat dinner and relax, in readiness for your next day's walk. Retaining some of it's original features, this Victorian town house is the Weybourne Guest House and offers fine accommodation and good facilities for walkers and cyclists. 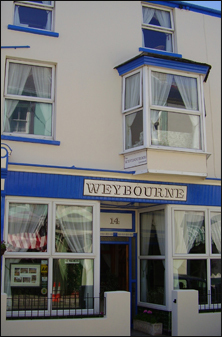 Set in Tenby, with all the facilities that the town has to offer, including the stunning countryside and coastal views, the Weybourne could be just the place for you to rest overnight or to say longer if you want to explore the area. Your hosts Tracy and Steve are keen walkers themselves and will no doubt be a mine of information for you. Luggage Transfers can take the burden of your baggage, and all you have to do is walk and take photographs! 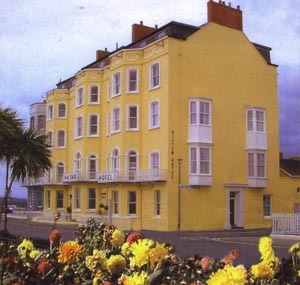 Right on the coast path, on the cliff overlooking Tenby's South Beach and with views of the islands, this hotel is very conveniently placed to welcome you for an overnight resting place or longer if you have scheduled a rest day or some sightseeing. The hotel is open all year except for the few days over the Christmas Period. This campsite couldn't get much closer to the path! It offers good facilities and an evening meal can be obtained from the bar which is open every night in high season but only weekends in low season. Walkers need to be aware that any grocery supplies will need to be collected en route as the shop does not sell grocery items. 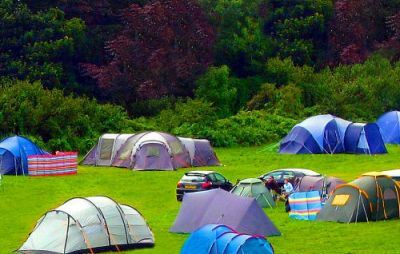 PLEASE NOTE it is essential that you have a booking in place in your name at the campsite, otherwise the operators may not allow us to leave your luggage. Also you should advise the operators that your luggage and equipment will be arriving ahead of you, in case they foresee any problems. This is especially relevant during high season. 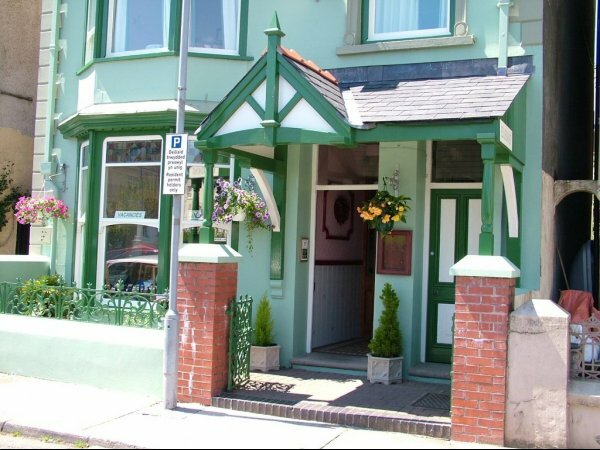 Sunny-bank guest house, situated in Tenby offers fine accommodation and a hearty breakfast for the walker needing to rest up and then get a good meal before tackling the next leg of their walk. This could be your ideal spot for an overnight stay or a longer period if you wish to explore the town of Tenby in more depth. Why not pre-book all the transfers for your whole walk? That way, you won't have a care in the world! 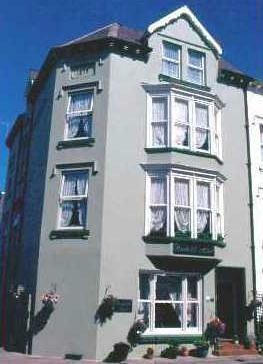 Glenthorne Guest House in Tenby is a stone's throw from the beach and overlooks the harbour. Offering good accommodation and reasonable prices, this could be your ideal overnight stop or good for a longer stay to visit the town and folk of Tenby. Giltar is a 61 room hotel with three stars. 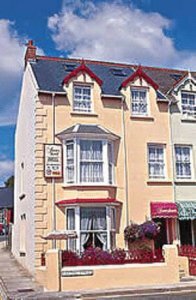 Set on the Esplanade in Tenby with spectacular views of the South Beach and Island of Caldey, this hotel offers luxury to the weary traveller whether it is for an overnight stay or a longer period to explore the town. Why not let Luggage Transfes deal with moving your luggage to your next destination, leaving you free to simply enjoy the walk. 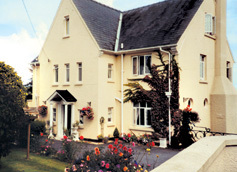 Situated about 10 minutes walk from the coast path, Wychwood House offers walker friendly accommodation. This is a large country house with fine views and your host will also offer an evening meal. If you chose to walk more than one section of the path and return to Wychwood at night, this is possible as the coastal shuttle bus goes right past the house. Whether you chose to overnight only, or linger longer and explore the area, you can be sure of a warm welcome.